It was the perfect advertisement for T20 cricket as Delhi Capitals (DC) beat Kolkata Knight Riders (KKR) by three runs in the Super Over after the match ended in a tie at the Feroz Shah Kotla on Saturday. Paceman Kagiso Rabada defended 10 runs in the Super Over to steer Delhi Capitals to a thrilling victory over Kolkata Knight Riders after the home side made heavy weather of a run chase. 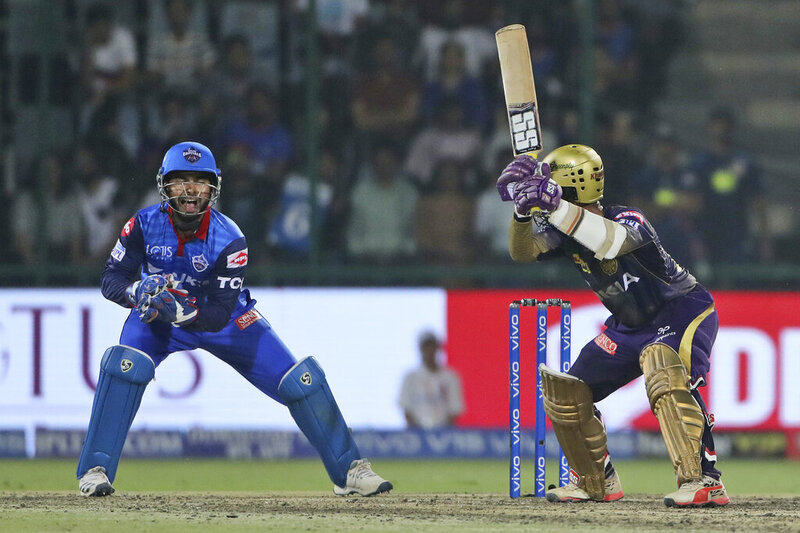 Chasing 186 to win, Delhi Capitals were set up nicely by Prithvi Shaw's 99 off 55 balls but they could not score six runs from the last over, bowled by chinaman Kuldeep Yadav, who held his nerves to give KKR a chance to steal a win. The Capitals ended their run chase at 185 for 6 in 20 overs, taking the match to Super Over. The home side managed just 10 runs in the super over bowled by paceman Krishna Prasidh but Rabada executed yorkers perfectly to deny KKR. 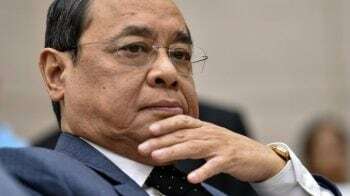 He removed dangerous Andre Russell with a perfectly placed yorker and did not allow other batsmen, including captain Dinesh Karthik, to free their arms. 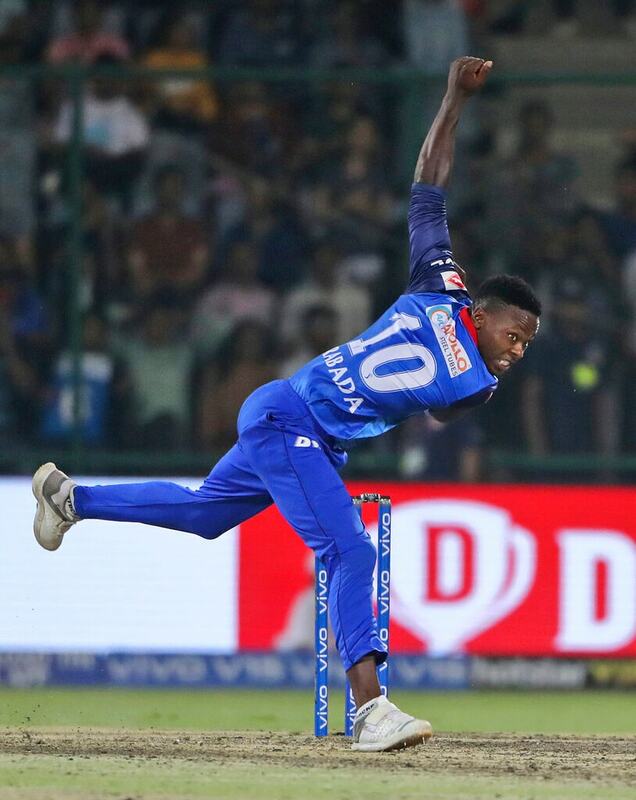 Delhi Capitals Kagiso Rabada bowls a delivery during the VIVO IPL T20 cricket match between Delhi Capitals and Kolkata Knight Riders in New Delhi, India, Saturday, March 30, 2019. (AP Photo/Altaf Qadri). 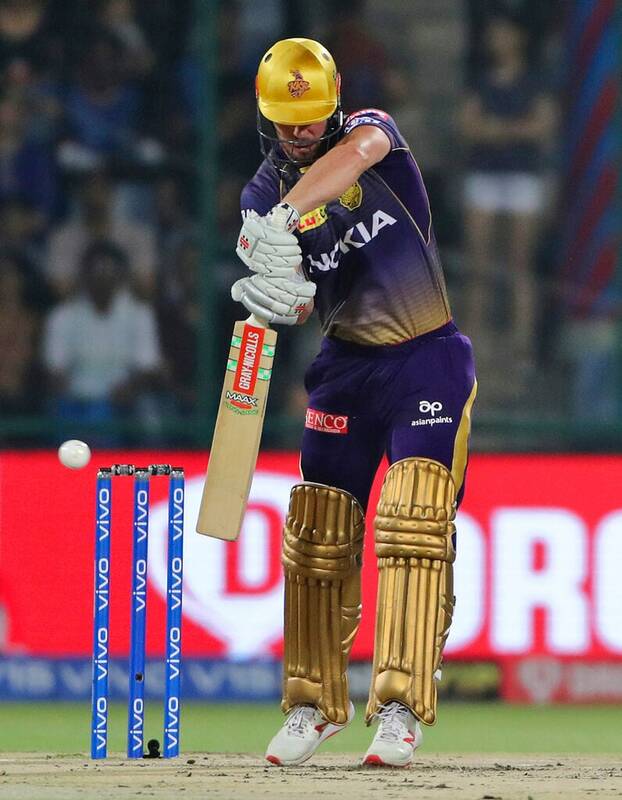 Kolkata Knight Riders Chris Lynn plays a shot during VIVO IPL T20 cricket match between Delhi Capitals and Kolkata Knight Riders in New Delhi, India, Saturday, March 30, 2019. (AP Photo/Altaf Qadri). 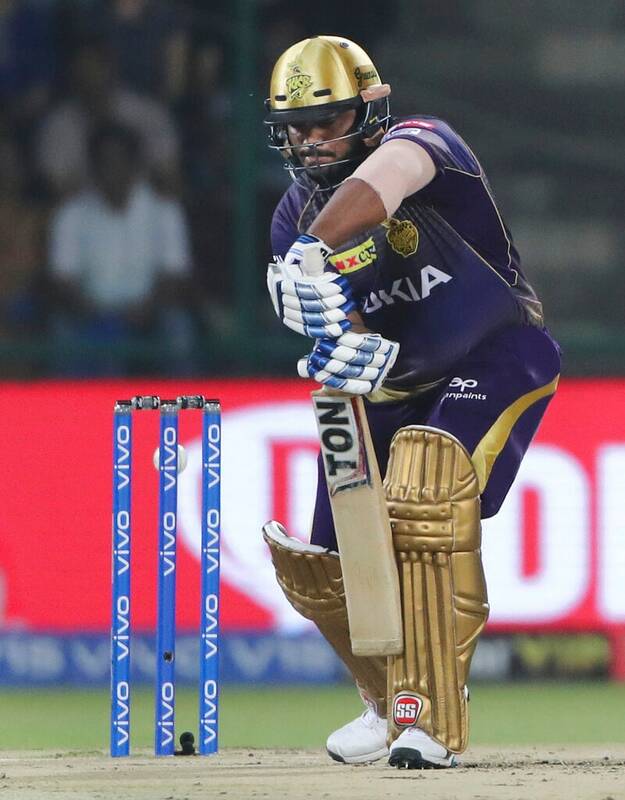 Kolkata Knight Riders Nikhil Naik plays a shot during VIVO IPL T20 cricket match between Delhi Capitals and Kolkata Knight Riders in New Delhi, India, Saturday, March 30, 2019. (AP Photo/Altaf Qadri). 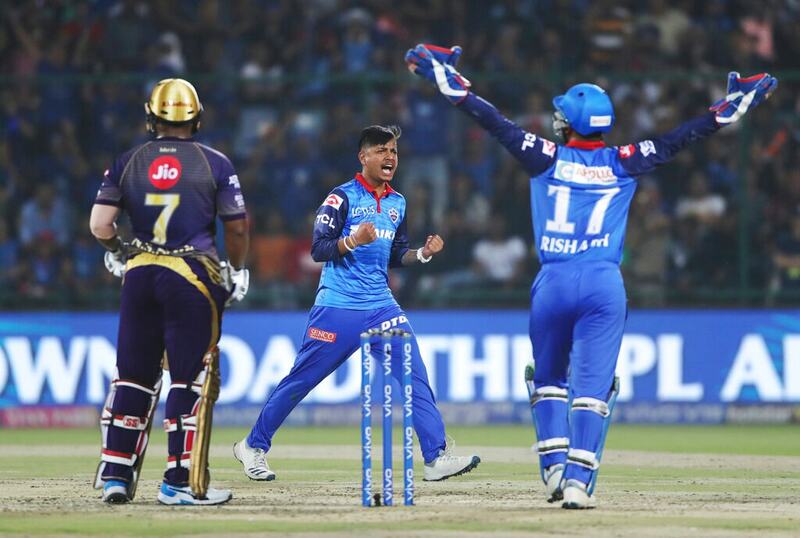 Delhi Capitals Sandeep Lamichhane, center, celebrates the dismissal of Kolkata Knight Riders Nikhil Naik, left, during the VIVO IPL T20 cricket match between Delhi Capitals and Kolkata Knight Riders in New Delhi, India, Saturday, March 30, 2019. (AP Photo/Altaf Qadri). 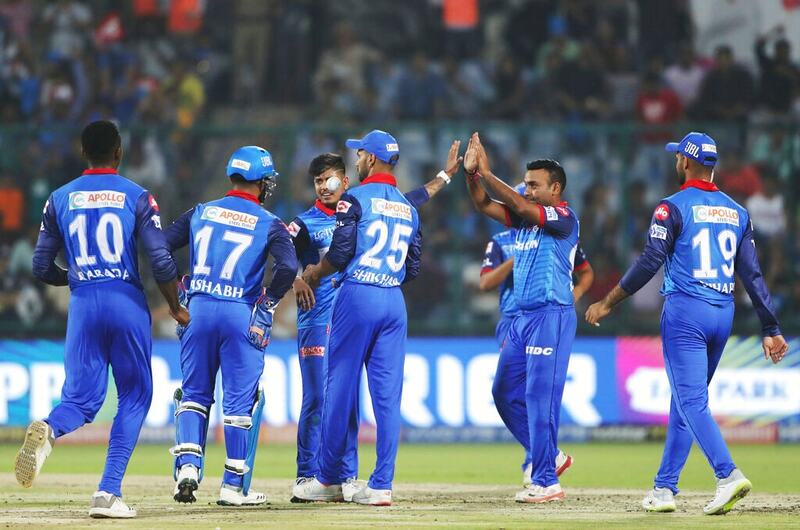 Delhi Capitals' players celebrate the dismissal of Kolkata Knight Riders Nikhil Naik during the VIVO IPL T20 cricket match between Delhi Capitals and Kolkata Knight Riders in New Delhi, India, Saturday, March 30, 2019. (AP Photo/Altaf Qadri). 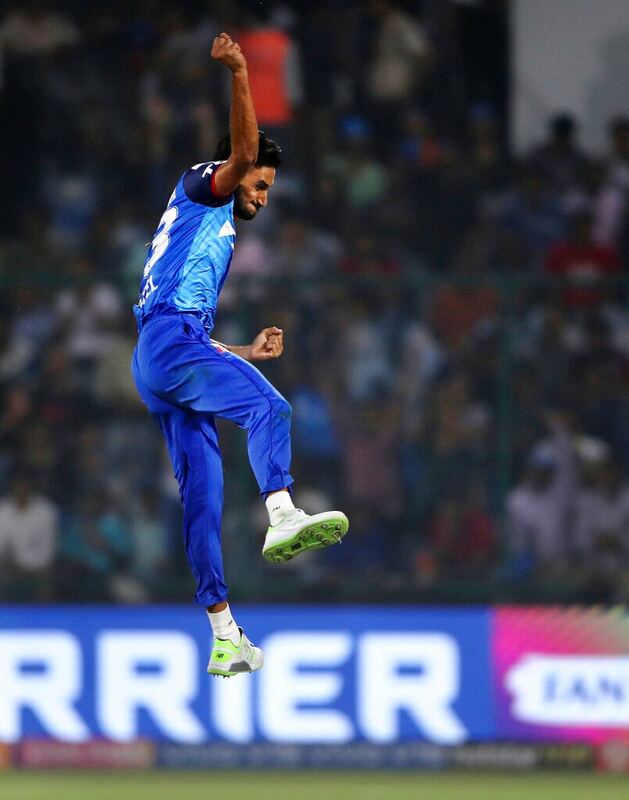 Delhi Capitals Harshal Patel leaps in the air to celebrate the dismissal of Kolkata Knight Riders Robin Uthappa during the VIVO IPL T20 cricket match between Delhi Capitals and Kolkata Knight Riders in New Delhi, India, Saturday, March 30, 2019. (AP Photo/Altaf Qadri). 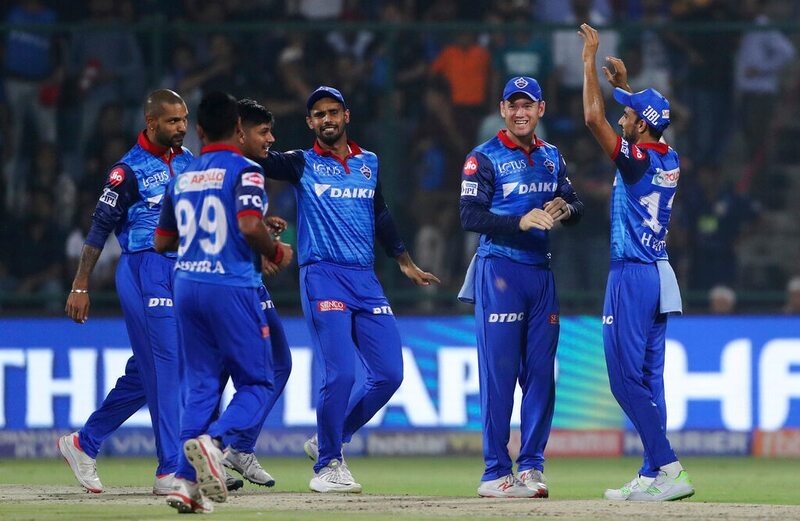 Delhi Capitals players celebrate the dismissal of Kolkata Knight Riders Shubman Gill during the VIVO IPL T20 cricket match between Delhi Capitals and Kolkata Knight Riders in New Delhi, India, Saturday, March 30, 2019. (AP Photo/Altaf Qadri). 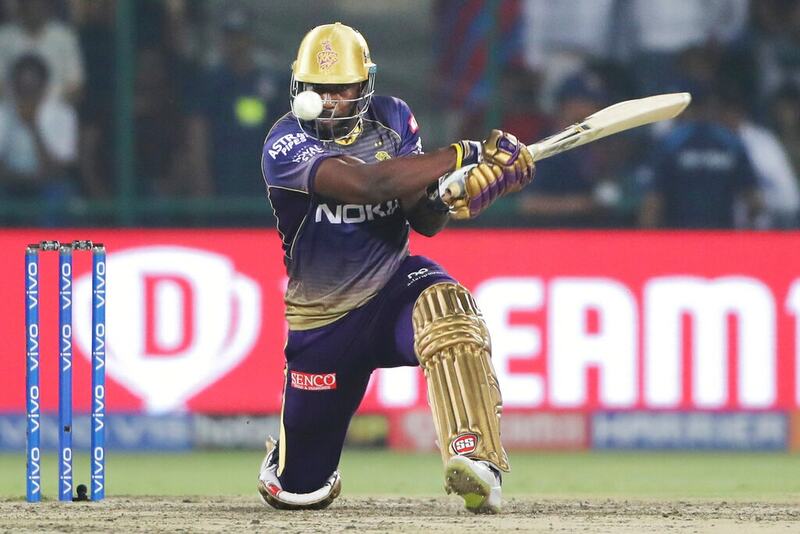 Kolkata Knight Riders Andre Russell plays a shot during the VIVO IPL T20 cricket match between Delhi Capitals and Kolkata Knight Riders in New Delhi, India, Saturday, March 30, 2019. (AP Photo/Altaf Qadri). 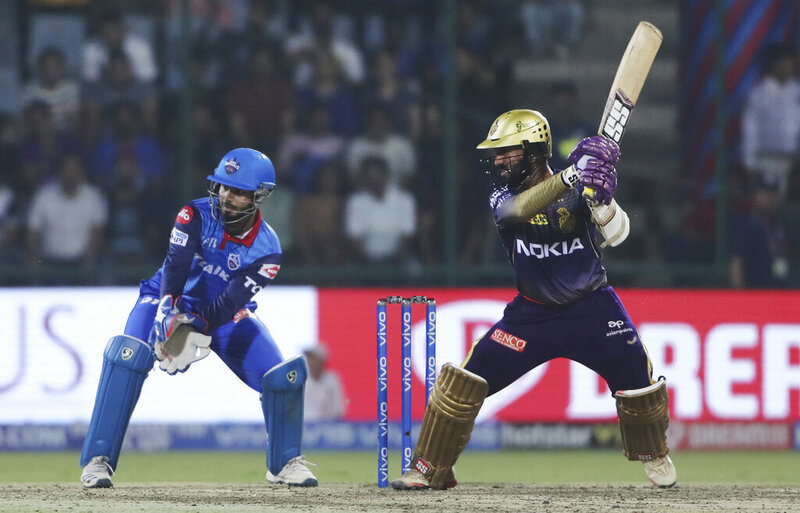 Kolkata Knight Riders captain Dinesh Karthik, right, plays a shot during the VIVO IPL T20 cricket match between Delhi Capitals and Kolkata Knight Riders in New Delhi, India, Saturday, March 30, 2019. (AP Photo/Altaf Qadri). 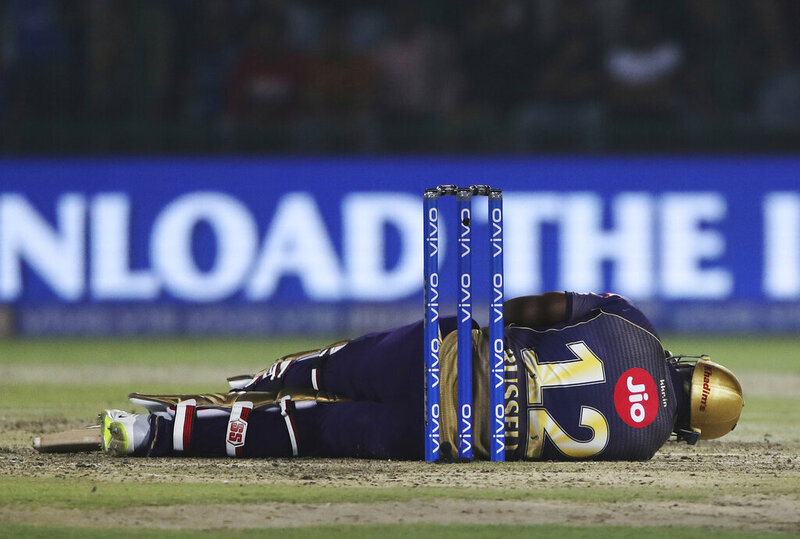 Kolkata Knight Riders Andre Russell lies on the pitch after he was hit by the ball during the VIVO IPL T20 cricket match between Delhi Capitals and Kolkata Knight Riders in New Delhi, India, Saturday, March 30, 2019. (AP Photo/Altaf Qadri). Delhi Capitals wicketkeeper Rishabh Pant, left, takes the catch to dismiss Kolkata Knight Riders captain Dinesh Karthik, right, during the VIVO IPL T20 cricket match between Delhi Capitals and Kolkata Knight Riders in New Delhi, India, Saturday, March 30, 2019. (AP Photo/Altaf Qadri).